Brooke Martin and Nick Marcello, falsely implicated 10 years ago in a scandal that cost Nick his teaching job, meet again for the first time since then to redesign the stained-glass windows in a historic church - and the rumors start all over again, this time also including Brooke’s kid sister, Roxy. When 15-year-old Lance Covington finds an abandoned baby in the backseat of a car, he knows she's the newborn daughter of a meth addict he's been trying to help. But when police arrest him for kidnapping, Lance is thrust into a criminal world of baby trafficking and drug abuse. His mother, Barbara, looks for help from Kent Harlan - the man whom she secretly, reluctantly loves and who once helped rescue her daughter from a mess of her own. Kent flies to her aid and begins the impossible work of getting Lance out of trouble, protecting a baby who has no home, and finding help for a teenage mother hiding behind her lies. 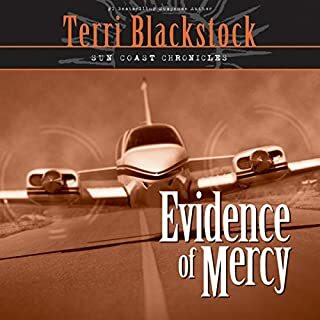 In this latest novel of suspense and family loyalty, bestselling author Terri Blackstock offers a harrowing look at drug addiction, human trafficking, and the devastating choices that can change lives forever. 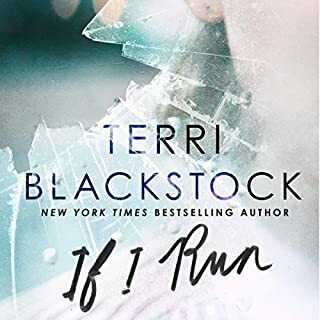 Terri Blackstock does it again! Her books are always great listens. Plenty of action, adventure, a kind of can't put it down book, with a what would Jesus do, added to it!!! She is by far my favorite author! Thank you, Terri, for not being afraid to share your faith to others through your penmanship. I recommend her books to everyone. Do you know Jesus? If you don't, please consider His great and mighty power and let the Holy Spirit speak to your heart. I pray for you! I have rarely understood the complaints people have about readers but this one was truly awful. Every character had a whining plaintive tone no matter what was going on. 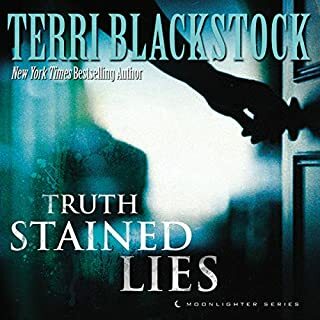 I am a HUGE Blackstock fan, but in this series she is mystifying me a bit. Usually Blackstock has us all cheering for the "good guys." In this case, there are sort of set up, inherently evil characters, and the main good guy is a kid who is continuously sefl-centered, disobedient (not as in didn't-do-the-dishes, but as in gets-off-the-plane-his-mom-puts-him-on) and obstinate to the point that by this second book the reader knows that the very minute his mother says that it's really important that he does something, we can count on the fact that he will do something completely different. BUT he is not the one on drugs, so we're supposed to say "hurray for him." 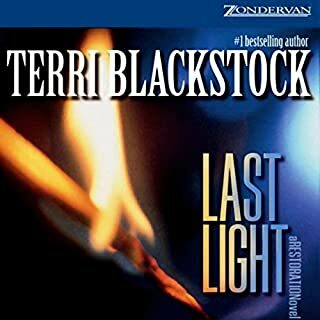 Therefore I have to say, well written and keeps moving in Blackstock style, but a sort of different moral backdrop than I usually expect from her. This is the 2nd book in the Intervention series. Since this one involves a newborn baby, it really tugged at my heart. The last hour or so was intensely suspenseful. I highly recommend this series! Blackstock has her characters back from Intervention. Lance is such a good guy that you sure don't want bad things to happen to him, but he gets himself entangled with evil while trying to do good. Depending on God is evident in this story. It is dark and suspensful. Don't listen to it before bedtime or you'll be dreaming. . . Good read. 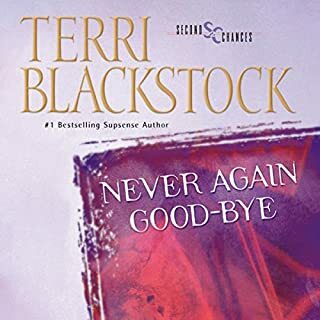 I really enjoy Terri Blackstock books. Her books provide suspense and are inspiring & clean. What disappointed you about Vicious Cycle? The storyline had great potential but the book ended up being very predictable and disappointing. I'm not a fan of novels where everything always falls into place and you can clearly see it coming early on. Would you listen to Vicious Cycle again? Why? I loved this series. You really feel the characters come to life. This story touched close to home, maybe a little too close. FIRE THE NARRATOR..... Good book, bad narration! What did you love best about Vicious Cycle? The storyline is good, okay suspense. Too much repetition of certain parts of the story over and over to different characters. Jordon, wanted to just shake her and help her. Wanted to kidnap Grace myself and keep her, lol. I absolutely disliked this narrator. She was boring and very inconsistent with her characters. Over exaggerating at times the accents. I hated Kent's character, made him sound stupid. I almost stopped listening to this book because of her and won't listen to anymore with her as the narrator. No, only because of the narrator. 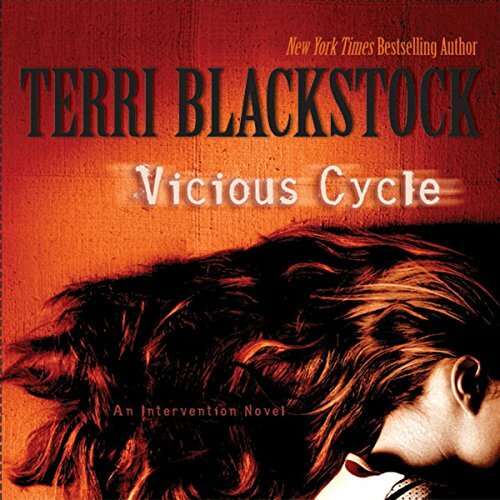 It truly is a "Vicious Cycle"
Blackstock is a very talented writer, and I recommend her books to all I know. It showed that people need to be responsible for their actions. She has a way of bringing the characters to life. This is a very tough subject and I was pleased that Blackstock didn't portray the characters as victims. We as a society need to realize what our actions do to others and take responsibility for them.